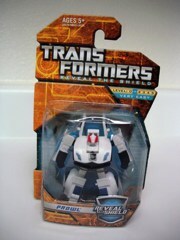 Did you get that cool mini Jazz in the Universe line in 2008? 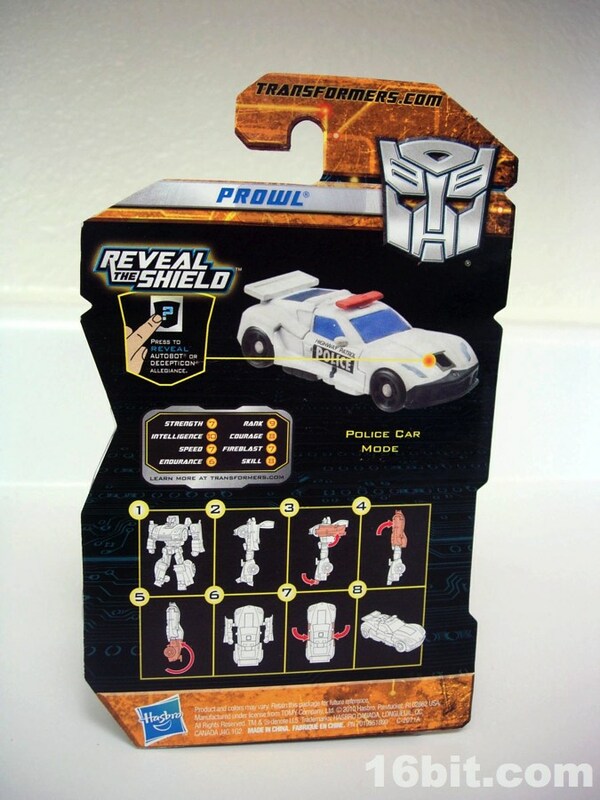 This Reveal the Shield Prowl is basically his twin-- nearly the same transformation and size, but a completely new sculpt. 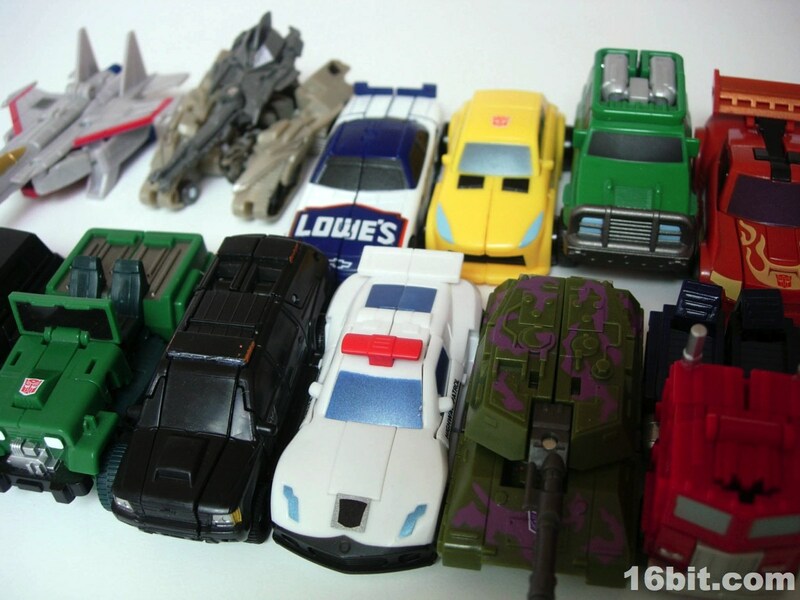 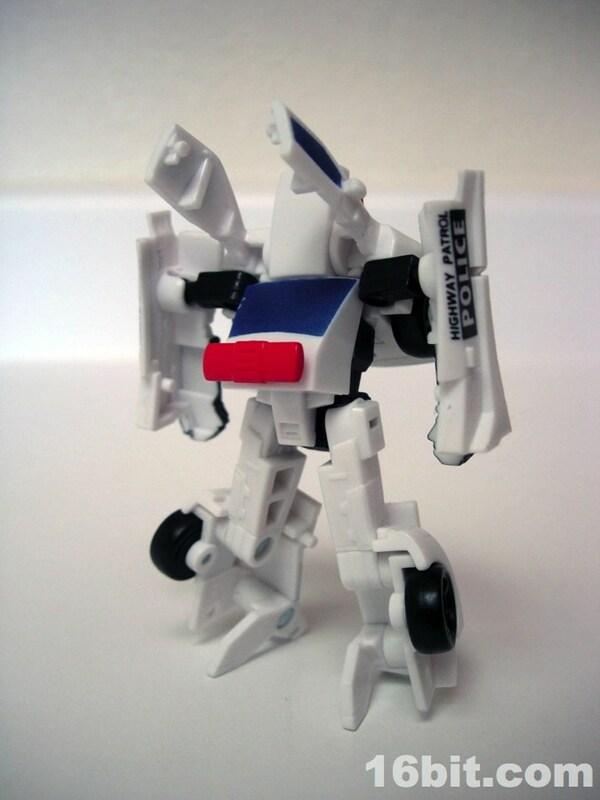 It looks just like Prowl, as most Prowl toys have over the years including Universe and Alternators. 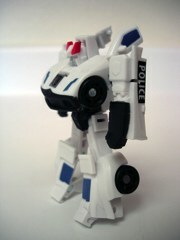 If you like tiny versions of popular characters, this is a good one. Standing 3-inches tall, Prowl's a mostly white robot with black and red highlights. 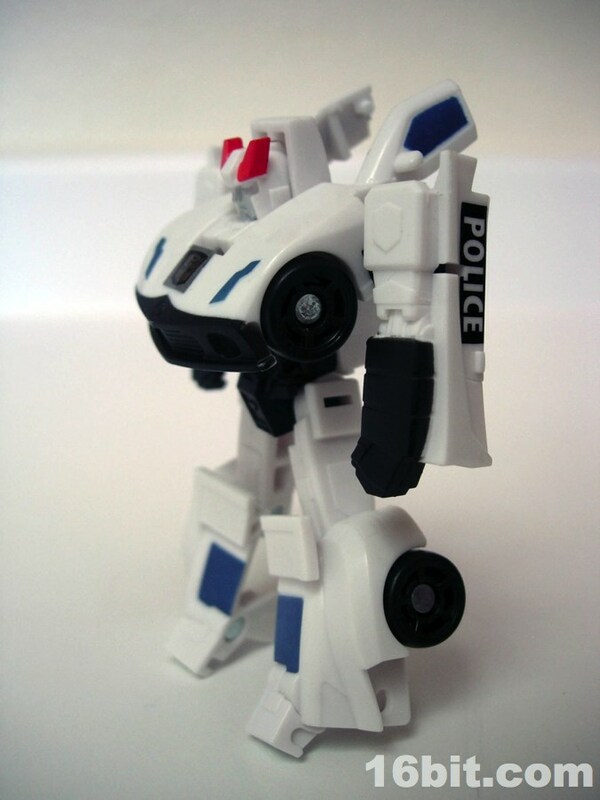 The bulk of his windows are painted blue, and he's jointed at the shoulders, knees, hips, and ankles. 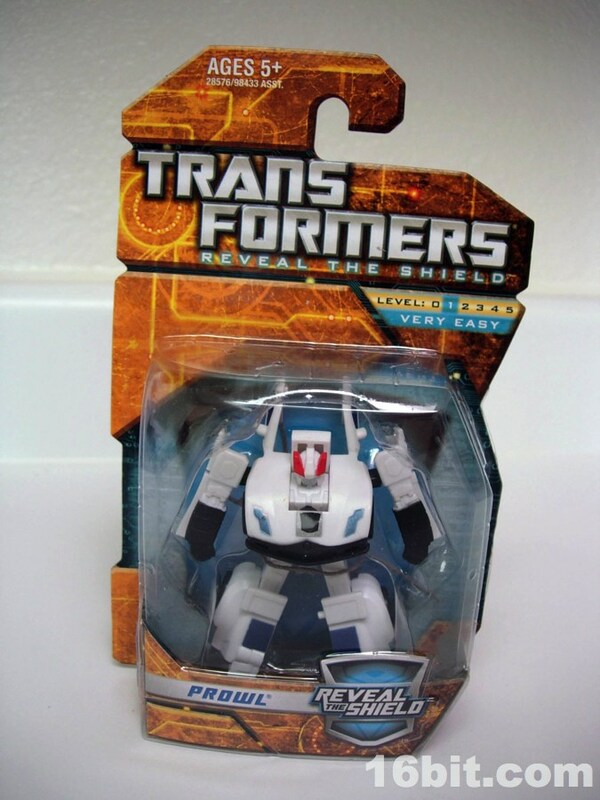 (Thank the transformation for the extra movement.) 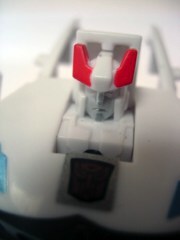 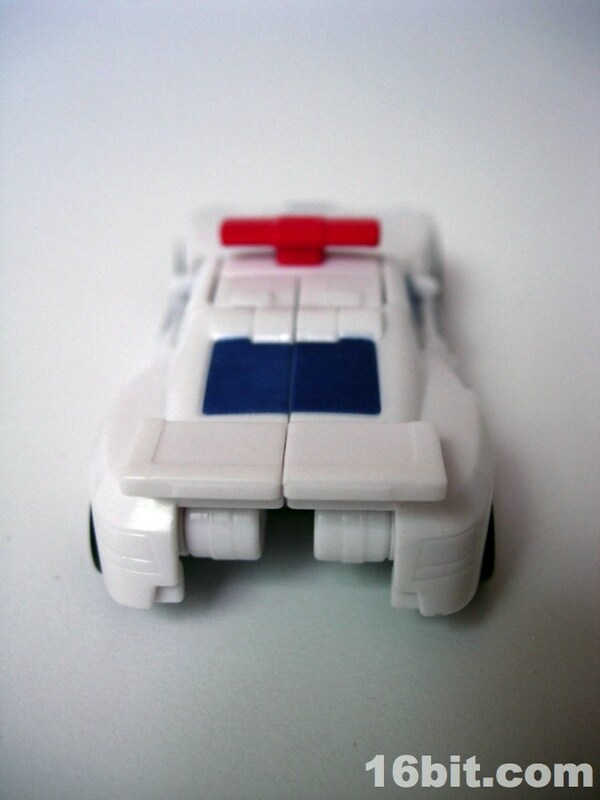 With a rubsign on his chest, it's quite similar to the format of the G1 toy. Changing him into a car is supremely easy-- if you need the instructions there is no hope for you. 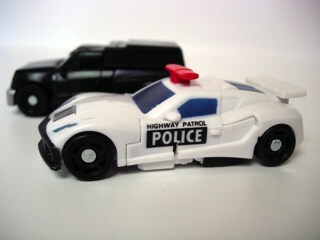 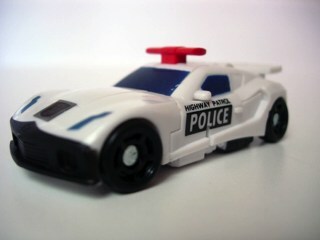 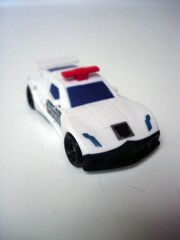 In vehicle mode, Prowl rolls along fairly well and sports police car markings. 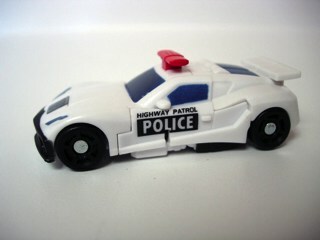 "Highway Patrol Police" is written on his doors, just like the original, and the paint on his windows and headlights bring him to life. 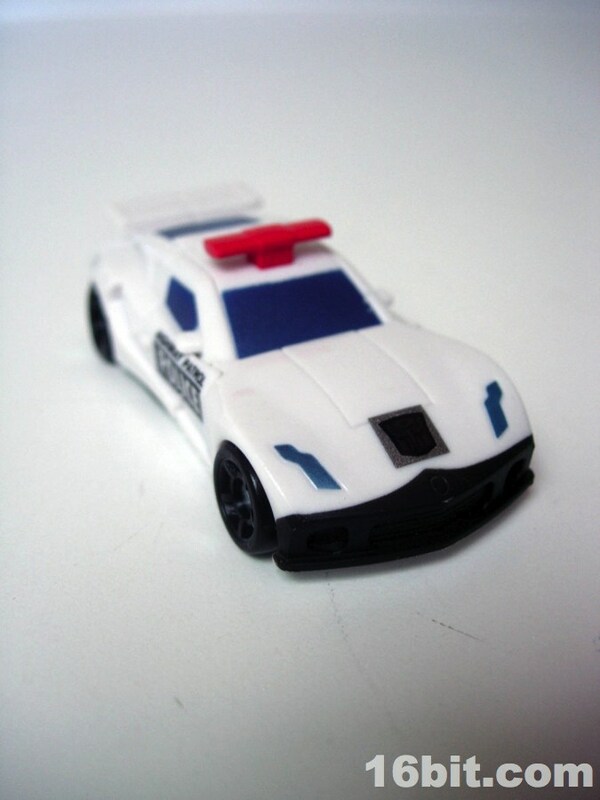 A red lightbar is sculpted on the back of the car mode, it looks like this may be easy to separate would Hasbro want to retool the toy to make Smokescreen or Blue/Silverstreak based on the mold. It's a fun, but simple toy collectors of the small-scale Transformers should enjoy.